We were recently gifted three dozen eggs (chicken, duck and quail) from dear friends who lovingly raise and care for a variety of foul. They were so beautiful I didn’t want to eat them! 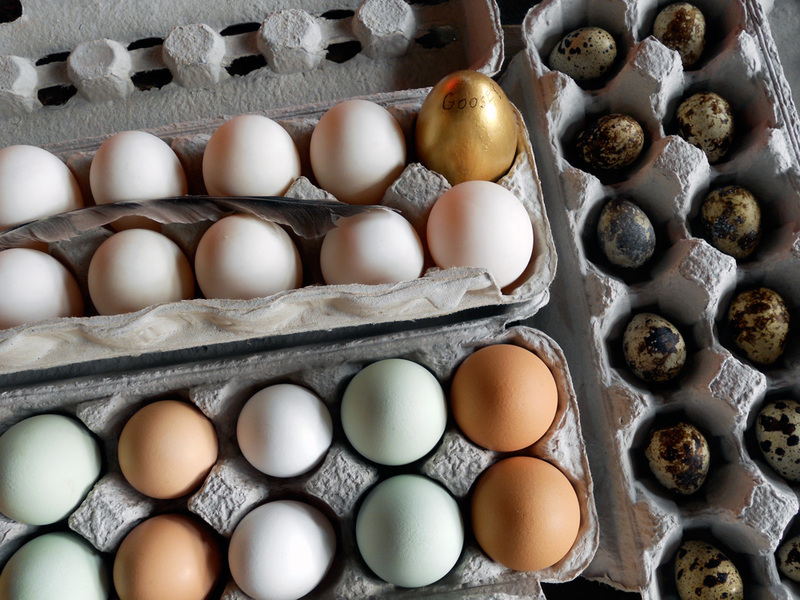 Duck, chicken and quail eggs (and one golden goose egg for good luck!). 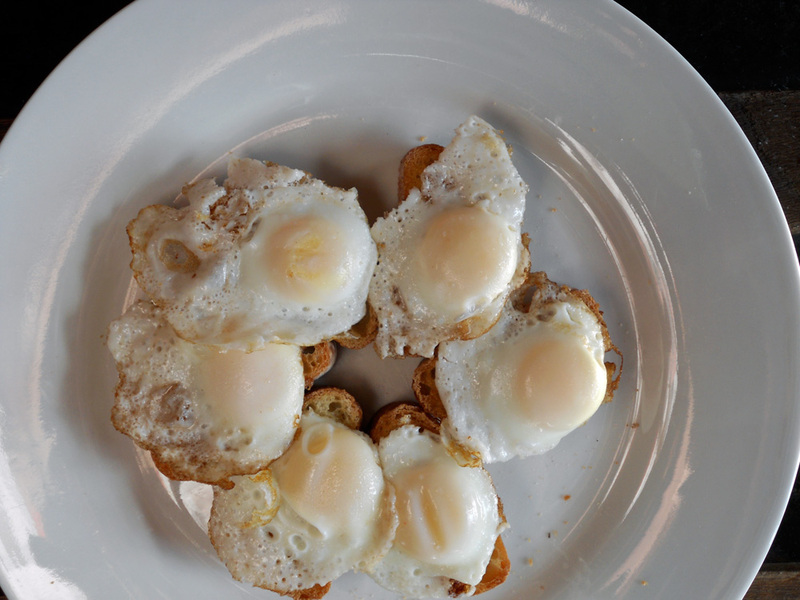 Finally we gave in and made fried quail’s eggs on little toasts for breakfast. And, some of the chicken eggs went into the fruitcake yesterday (but not the blue ones; I want to look at those a while longer!). What to do with the duck eggs is my big question. I’ve never eaten them before and have been told the flavour is a bit strong, so I’m nervous! Hopefully our friends will have some ideas! 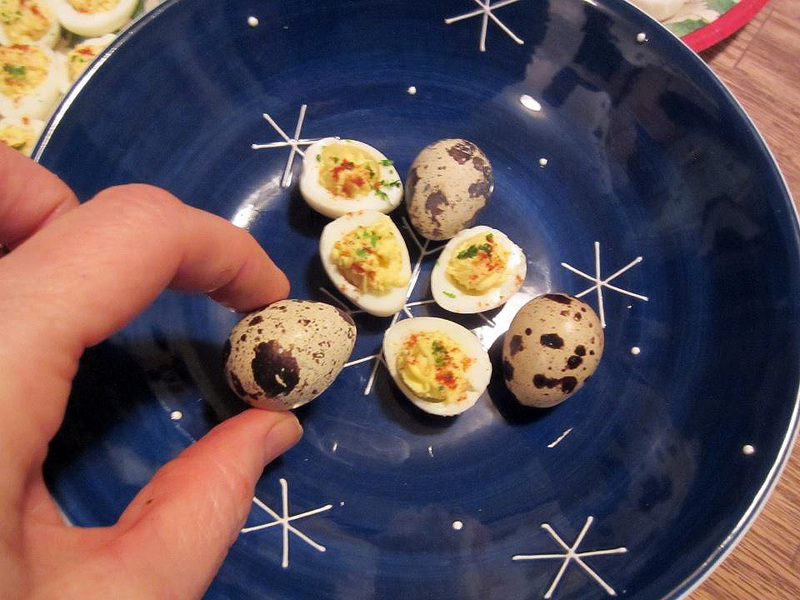 These little deviled quail’s eggs were made and photographed by the friends who raise the birds. They must require patience, a steady hand and a good piping bag!